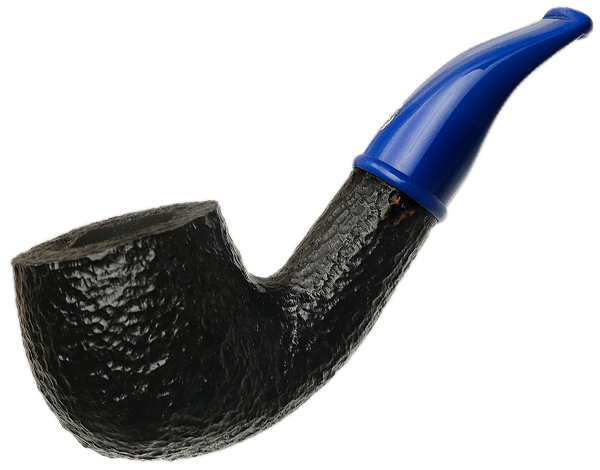 Savinelli's "601" is a fairly traditional bent Billiard shape, imbued with a bit of height to the bowl. Here with this "Mini" version, it's rendered undeniably handy, with loads of charm. Found in a warm, tastefully smooth finish or in the dark rusticated texture seen here, this particular fellow wears a stem of cornflower blue acrylic.